School district administrators and volunteers spent Saturday morning knocking on doors and making calls for Pasadena ISD’s annual Walk for Success initiative in hopes of getting students closer to commencement. 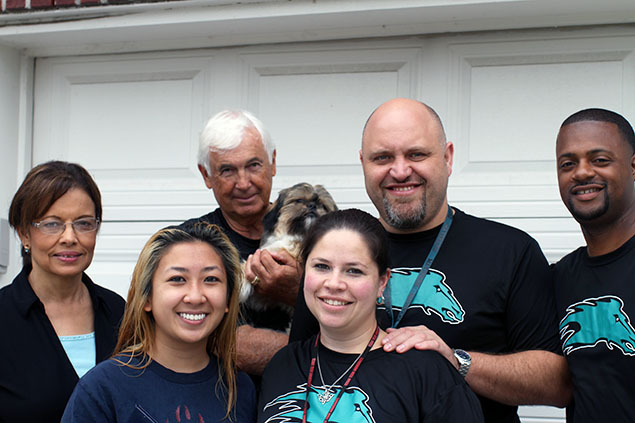 The annual Walk involves teams of administrators, teachers, staff and volunteers who make phone calls and pay door-to-door visits to the homes of students who have not re-enrolled in classes for the academic school year. The program helps students who are credits away from graduation receive their high school diploma by way of Community School, Virtual School, TAKS prep courses or regular classroom attendance. Volunteers visited a total of 128 homes and made contact with 440 families. Pasadena Memorial High School assistant principal Cleveland Lee was one of the many walkers who hit the streets Saturday during the Walk. “I always enjoy having the opportunity to reconnect with students that we’ve had in the past and help them along with their mission of finishing high school,” Lee said. His team connected with a former student. “I was happy to see that she received her diploma and is currently enrolled at San Jacinto College,” Lee said. “That’s our main goal -- to get students to finish school and help them pursue a higher education. Magaly Vazquez, Pasadena Memorial High School Spanish teacher; Tiffany Nguyen, a former student; Marshall Kendrick, board member; Jilla Peasley, the school’s counselor; Jon Thompson, PMHS assistant principal; Cleveland Lee, PMHS assistant principal.